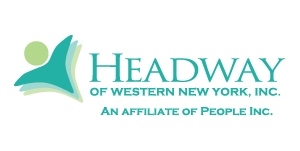 Mission and Vision Statements :: Headway of WNY, Inc.
To ensure that individuals in Western New York with brain injuries, other disabilities, and seniors have access to advocacy, resources, and support systems to enable them to live as independently as possible. We seek to educate the broader community about the causes, consequences and means of prevention of brain injury. Headway of WNY envisions a world where survivors of brain injury and those with related disabilities find meaning, move forward and know they are not alone.